Alvin Carl Plantinga (/ˈplæntɪŋɡə/; born November 15, 1932) is a prominent American analytic philosopher who works primarily in the fields of philosophy of religion, epistemology (particularly on issues involving epistemic justification), and logic. From 1963-82, Plantinga taught at Calvin College before accepting an appointment as the John A. O'Brien Professor of Philosophy at the University of Notre Dame. He later returned to Calvin College to become the inaugural holder of the Jellema Chair in Philosophy. A prominent Christian philosopher, Plantinga served as president of the Society of Christian Philosophers from 1983-86. He has delivered the Gifford Lectures two times and was described by TIME magazine as "America's leading orthodox Protestant philosopher of God". William Lane Craig wrote in his work Reasonable Faith that he considers Plantinga to be the greatest Christian philosopher alive. A fellow of the American Academy of Arts and Sciences, he was awarded the Templeton Prize in 2017. Some of Plantinga's most influential works including God and Other Minds (1967), The Nature of Necessity (1974), and a trilogy of books on epistemology, culminating in Warranted Christian Belief (2000) that was simplified in Knowledge and Christian Belief (2016). 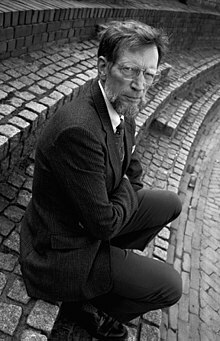 Plantinga was born on November 15, 1932, in Ann Arbor, Michigan, to Cornelius A. Plantinga (1908–1994) and Lettie G. Bossenbroek (1908–2007). Plantinga's father was a first-generation immigrant, born in the Netherlands. His family is from the Dutch province of Friesland, they lived on a relatively low income until he secured a teaching job in Michigan in 1941. Plantinga married Kathleen De Boer in 1955. They have four children: Carl, Jane, Harry, and Ann. Both of his sons are professors at Calvin College, Carl in Film Studies and Harry in computer science. Harry is also the director of the college's Christian Classics Ethereal Library. Plantinga's older daughter, Jane Plantinga Pauw, is a pastor at Rainier Beach Presbyterian Church (PCUSA) in Seattle, Washington, and his younger daughter, Ann Kapteyn, is a missionary in Cameroon working for Wycliffe Bible Translators. His granddaughter Natasha Pauw lives at home with her parents. One of Plantinga's brothers, Cornelius "Neal" Plantinga Jr., is a theologian and the former president of Calvin Theological Seminary. Another of his brothers, Leon, is an emeritus professor of musicology at Yale University. His brother Terrell worked for CBS News. After Plantinga completed 11th grade, his father urged him to skip his last year of high school and immediately enroll in college. Plantinga reluctantly followed his father's advice and in 1949, a few months before his 17th birthday, he enrolled in Jamestown College, in Jamestown, North Dakota. During that same year, his father accepted a teaching job at Calvin College, in Grand Rapids, Michigan. In January 1950, Plantinga moved to Grand Rapids with his family and enrolled in Calvin College. During his first semester at Calvin, Plantinga was awarded a scholarship to attend Harvard University. Beginning in the fall of 1950, Plantinga spent two semesters at Harvard. In 1951, during Harvard's spring recess, Plantinga attended a few philosophy classes at Calvin College, and was so impressed with Calvin philosophy professor William Harry Jellema that he returned in 1951 to study philosophy under him. In 1954, Plantinga began his graduate studies at the University of Michigan where he studied under William Alston, William Frankena, and Richard Cartwright, among others. A year later, in 1955, he transferred to Yale University where he received his Ph.D. in 1958. Plantinga began his career as an instructor in the philosophy department at Yale in 1957, and then in 1958 he became a professor of philosophy at Wayne State University during its heyday as a major center for analytic philosophy. In 1963, he accepted a teaching job at Calvin College, where he replaced the retiring Jellema. He then spent the next 19 years at Calvin before moving to the University of Notre Dame in 1982. He retired from the University of Notre Dame in 2010 and returned to Calvin College, where he serves as the first holder of the William Harry Jellema Chair in Philosophy. He has trained many prominent philosophers working in metaphysics and epistemology including Michael Bergmann at Purdue and Michael Rea at Notre Dame, and Trenton Merricks working at University of Virginia. Plantinga served as president of the American Philosophical Association, Western Division, 1981–82. and as President of the Society of Christian Philosophers 1983–86. He has honorary degrees from Glasgow University (1982), Calvin College (1986), North Park College (1994), the Free University of Amsterdam (1995), Brigham Young University (1996), and Valparaiso University (1999). He was a Guggenheim Fellow, 1971–72, and elected a Fellow in the American Academy of Arts and Sciences in 1975. In 2017, Baylor University's Center for Christian Philosophy inaugurated the Alvin Plantinga Award for Excellence in Christian Philosophy. Awardees deliver a lecture at Baylor University and their name is put on a plaque with Plantinga's image in the Institute for Studies in Religion. He was named the first fellow of the center as well. He was awarded the 2017 Templeton Prize. Plantinga has argued that some people can know that God exists as a basic belief, requiring no argument. He developed this argument in two different fashions: firstly, in God and Other Minds (1967), by drawing an equivalence between the teleological argument and the common sense view that people have of other minds existing by analogy with their own minds. Plantinga has also developed a more comprehensive epistemological account of the nature of warrant which allows for the existence of God as a basic belief. Plantinga has also argued that there is no logical inconsistency between the existence of evil and the existence of an all-powerful, all-knowing, wholly good God. Plantinga proposed a "free will defense" in a volume edited by Max Black in 1965, which attempts to refute the logical problem of evil, the argument that the existence of evil is logically incompatible with the existence of an omnipotent, omniscient, wholly good God. Plantinga's argument (in a truncated form) states that "It is possible that God, even being omnipotent, could not create a world with free creatures who never choose evil. Furthermore, it is possible that God, even being omnibenevolent, would desire to create a world which contains evil if moral goodness requires free moral creatures." However, the argument's handling of natural evil has been more heavily disputed, and its presupposition of a libertarianist, incompatibilist view of free will has been seen as problematic as well. According to the Internet Encyclopedia of Philosophy, the argument also "conflicts with important theistic doctrines",[clarification needed] including the notion of heaven and the idea that God has free will. J. L. Mackie sees Plantinga's free-will defense as incoherent. Plantinga's well-received book God, Freedom and Evil, written in 1974, gave his response to what he saw as the incomplete and uncritical view of theism's criticism of theodicy. Plantinga's contribution stated that when the issue of a comprehensive doctrine of freedom is added to the discussion of the goodness of God and the omnipotence of God then it is not possible to exclude the presence of evil in the world after introducing freedom into the discussion. Plantinga's own summary occurs in his discussion titled "Could God Have Created a World Containing Moral Good but No Moral Evil", where he states his conclusion that, "... the price for creating a world in which they produce moral good is creating one in which they also produce moral evil." Plantinga's contributions to epistemology include an argument which he dubs "Reformed epistemology". According to Reformed epistemology, belief in God can be rational and justified even without arguments or evidence for the existence of God. More specifically, Plantinga argues that belief in God is properly basic, and due to a religious externalist epistemology, he claims belief in God could be justified independently of evidence. His externalist epistemology, called "proper functionalism", is a form of epistemological reliabilism. Plantinga discusses his view of Reformed epistemology and proper functionalism in a three-volume series. In the first book of the trilogy, Warrant: The Current Debate, Plantinga introduces, analyzes, and criticizes 20th-century developments in analytic epistemology, particularly the works of Chisholm, BonJour, Alston, Goldman, and others. 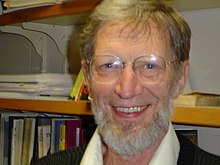 In the book, Plantinga argues specifically that the theories of what he calls "warrant"-what many others have called justification (Plantinga draws out a difference: justification is a property of a person holding a belief while warrant is a property of a belief)—put forth by these epistemologists have systematically failed to capture in full what is required for knowledge. In the second book, Warrant and Proper Function, he introduces the notion of warrant as an alternative to justification and discusses topics like self-knowledge, memories, perception, and probability. Plantinga's "proper function" account argues that as a necessary condition of having warrant, one's "belief-forming and belief-maintaining apparatus of powers" are functioning properly—"working the way it ought to work". Plantinga explains his argument for proper function with reference to a "design plan", as well as an environment in which one's cognitive equipment is optimal for use. Plantinga asserts that the design plan does not require a designer: "it is perhaps possible that evolution (undirected by God or anyone else) has somehow furnished us with our design plans", but the paradigm case of a design plan is like a technological product designed by a human being (like a radio or a wheel). Ultimately, Plantinga argues that epistemological naturalism- i.e. epistemology that holds that warrant is dependent on natural faculties—is best supported by supernaturalist metaphysics—in this case the belief in a creator God or designer who has laid out a design plan that includes cognitive faculties conducive to attaining knowledge. Plantinga has expressed a modal logic version of the ontological argument in which he uses modal logic to develop, in a more rigorous and formal way, Norman Malcolm's and Charles Hartshorne's modal ontological arguments. Plantinga criticized Malcolm's and Hartshorne's arguments, and offered an alternative. He argued that, if Malcolm does prove the necessary existence of the greatest possible being, it follows that there is a being which exists in all worlds whose greatness in some worlds is not surpassed. It does not, he argued, demonstrate that such a being has unsurpassed greatness in this world. In an attempt to resolve this problem, Plantinga differentiated between "greatness" and "excellence". A being's excellence in a particular world depends only on its properties in that world; a being's greatness depends on its properties in all worlds. Therefore, the greatest possible being must have maximal excellence in every possible world. Plantinga then restated Malcolm's argument, using the concept of "maximal greatness". He argued that it is possible for a being with maximal greatness to exist, so a being with maximal greatness exists in a possible world. If this is the case, then a being with maximal greatness exists in every world, and therefore in this world. Therefore, (by axiom S5) it is necessarily true that an omniscient, omnipotent and perfectly good being exists. Plantinga argued that, although the first premise is not rationally established, it is not contrary to reason. Michael Martin argued that, if certain components of perfection are contradictory, such as omnipotence and omniscience, then the first premise is contrary to reason. Martin also proposed parodies of the argument, suggesting that the existence of anything can be demonstrated with Plantinga's argument, provided it is defined as perfect or special in every possible world. According to Craig, premises (2)–(5) are relatively uncontroversial among philosophers, but "the epistemic entertainability of premise (1) (or its denial) does not guarantee its metaphysical possibility." Furthermore, Richard M. Gale argued that premise three, the "possibility premise", begs the question. He stated that one only has the epistemic right to accept the premise if one understands the nested modal operators, and that if one understands them within the system S5—without which the argument fails—then one understands that "possibly necessarily" is in essence the same as "necessarily". Thus the premise begs the question because the conclusion is embedded within it. On S5 systems in general, James Garson writes that "the words ‘necessarily’ and ‘possibly’, have many different uses. So the acceptability of axioms for modal logic depends on which of these uses we have in mind." In Plantinga's evolutionary argument against naturalism, he argues that if evolution is true, it undermines naturalism. His basic argument is that if evolution and naturalism are both true, human cognitive faculties evolved to produce beliefs that have survival value (maximizing one's success at the four F's: "feeding, fleeing, fighting, and reproducing"), not necessarily to produce beliefs that are true. Thus, since human cognitive faculties are tuned to survival rather than truth in the naturalism-evolution model, there is reason to doubt the veracity of the products of those same faculties, including naturalism and evolution themselves. On the other hand, if God created man "in his image" by way of an evolutionary process (or any other means), then Plantinga argues our faculties would probably be reliable. Perhaps Paul very much likes the idea of being eaten, but when he sees a tiger, always runs off looking for a better prospect, because he thinks it unlikely the tiger he sees will eat him. This will get his body parts in the right place so far as survival is concerned, without involving much by way of true belief... Or perhaps he thinks the tiger is a large, friendly, cuddly pussycat and wants to pet it; but he also believes that the best way to pet it is to run away from it... Clearly there are any number of belief-desire systems that equally fit a given bit of behaviour. The argument has received favorable notice from Thomas Nagel, William Lane Craig,, but has also been criticized as seriously flawed, for example by Elliott Sober. Religion and science share more common ground than you might think, though science can't prove, it presupposes that there has been a past for example, science does not cover the whole of the knowledge enterprise. Shows how Darwinian evolution has become an idol. Like any Christian (and indeed any theist), I believe that the world has been created by God, and hence "intelligently designed". The hallmark of intelligent design, however, is the claim that this can be shown scientifically; I'm dubious about that. ...As far as I can see, God certainly could have used Darwinian processes to create the living world and direct it as he wanted to go; hence evolution as such does not imply that there is no direction in the history of life. What does have that implication is not evolutionary theory itself, but unguided evolution, the idea that neither God nor any other person has taken a hand in guiding, directing or orchestrating the course of evolution. But the scientific theory of evolution, sensibly enough, says nothing one way or the other about divine guidance. It doesn't say that evolution is divinely guided; it also doesn't say that it isn't. Like almost any theist, I reject unguided evolution; but the contemporary scientific theory of evolution just as such—apart from philosophical or theological add-ons—doesn't say that evolution is unguided. Like science in general, it makes no pronouncements on the existence or activity of God. ^ a b "Templeton Prize - Current Winner". www.templetonprize.org. ^ Webteam, University of Pittsburgh University Marketing Communications. "Pitt Selects Mittelstrass, Plantinga for 2012-13 Rescher Prize in Philosophy - Pitt Chronicle - University of Pittsburgh". www.chronicle.pitt.edu. ^ "Plantinga Wins Prestigious Rescher Prize". calvin.edu. ^ "Alvin Plantinga". The Gifford Lectures. ^ a b "Self-profile", p. 6. ^ "Introduction: Alvin Plantinga, God's Philosopher" in Alvin Plantinga; Deane-Peter Baker ed., (New York: Cambridge University Press), 2007, p. 5. ^ "Alvin Plantinga" Archived 2008-07-04 at the Wayback Machine, Well-Known Dutch-Americans at The New Netherland Institute website; retrieved November 6, 2007. ^ "Faculty & Staff". Calvin College. Retrieved 7 April 2016. ^ "CCEL Questions and Answers". Archived from the original on 2008-07-25. Retrieved 2008-05-23. ^ "REACHING OUT • Missions". Archived from the original on 2011-07-13. Retrieved 2010-11-18. ^ "Welcome". Retrieved April 7, 2016. ^ a b Deane-Peter Baker (2007). Alvin Plantinga. Cambridge University Press. pp. 2–8. ISBN 978-0-521-85531-0. Retrieved 16 December 2010. ^ "APA Presidents". Archived from the original on April 26, 2012. Retrieved April 7, 2016. ^ a b c "NNP, The Casino News Network". nnp.org. Archived from the original on July 4, 2008. Retrieved December 31, 2017. ^ AgencyND : University of Notre Dame. "Events". Retrieved April 7, 2016. ^ Agency ND : University of Notre Dame. "Center for Philosophy of Religion". Retrieved April 7, 2016. ^ University of Pittsburgh University Marketing Communications Webteam. "Nicholas Rescher Prize for Systematic Philosophy". Retrieved April 7, 2016. ^ "Philosophy department, Baylor ISR and major granting organization cooperate in opening Baylor Center for Christian Philosophy | Baylor Institute for Studies of Religion". www.baylorisr.org. Retrieved 2017-10-16. ^ Felder, D. W. (1971). "Disanalogies in Plantinga's Argument regarding the Rationality of Theism". Journal for the Scientific Study of Religion. 10 (3): 200–207. doi:10.2307/1384479. ^ Friquegnon, M. L. (1979). "God and Other Programs". Religious Studies. 15 (1): 83–89. doi:10.1017/S0034412500011100. ^ Copan, P. (2001). "Warranted Christian Belief". The Review of Metaphysics. 54 (4): 939–941. doi:10.2307/20131647. ^ Quinn, Philip L. "Plantinga, Alvin" in Honderich, Ted (ed.). The Oxford Companion to Philosophy. Oxford University Press, 1995. ^ "Internet Encyclopedia of Philosophy". Retrieved July 16, 2012. ^ J. L. Mackie wrote: "[H]ow could there be logically contingent states of affairs, prior to the creation and existence of any created beings with free will, which an omnipotent god would have to accept and put up with? This suggestion is simply incoherent. Indeed, by bringing in the notion of individual essences which determine—presumably non-causally—how Curly Smith, Satan, and the rest of us would choose freely or would act in each hypothetical situation, Plantinga has not rescued the free will defence but made its weaknesses all too clear". Mackie 1982, p. 174. ^ Plantinga, Alvin (1974). God, Freedom and Evil, p. 49. ^ Alvin Plantinga, Warrant: The Current Debate, New York: Oxford University Press, 1993. ^ Plantinga, Warrant: The Current Debate, 1993. 3. ^ Alvin Plantinga, Warrant and Proper Function, New York: Oxford University Press, 1993. ^ Plantinga, Warrant and Proper Function, 1993. 194. ^ Fales, E. (1996). "Plantinga's Case against Naturalistic Epistemology". Philosophy of Science. 63 (3): 432–451. doi:10.1086/289920. ^ Beilby, James (2007). "Plantinga's Model of Warranted Christian Belief". In Baker, Deane-Peter (ed.). Alvin Plantinga. Cambridge: Cambridge University Press. pp. 125–165. ISBN 0-521-67143-4. ^ "Evolution, Shibboleths, and Philosophers". The Chronicle of Higher Education. April 11, 2010. Retrieved 2010-04-28. Like any Christian (and indeed any theist), I believe that the world has been created by God, and hence "intelligently designed"
^ a b Plantinga, Alvin (1998). Sennett, James F (ed.). The analytic theist: an Alvin Plantinga reader. Wm. B. Eerdmans Publishing. pp. 65–71. ISBN 978-0-8028-4229-9. ^ Marenbon, M., Medieval Philosophy: An Historical and Philosophical Introduction, Routledge, 2006, p. 128. ^ Oppy, Graham (8 February 1996). "Ontological Arguments". substantive revision 15 July 2011. Stanford Encyclopedia of Philosophy. ^ Martin, Michael (2003). Philosophy of religion: an anthology. Wiley-Blackwell. pp. 282–293. ISBN 978-0-631-21471-7. ^ Craig, William Lane (2008). Reasonable faith. Crossway. p. 185. ISBN 978-1-4335-0115-9. Premises (2)–(5) of this argument are relatively uncontroversial. Most philosophers would agree that if God's existence is even possible, then he must exist. ... the epistemic entertainability of premise (1) (or its denial) does not guarantee its metaphysical possibility. ^ Gale, Richard (1993). On the Nature and Existence of God. Cambridge University Press. p. 227. ISBN 0-521-45723-8. ^ Garson, James, Modal Logic, The Stanford Encyclopedia of Philosophy (Summer 2014 Edition), Edward N. Zalta (ed.). ^ Plantinga, Alvin Warrant and Proper Function, (New York: Oxford University Press), 1993. pp. 225–226 (ISBN 978-0-19-507864-0). ^ Nagel, Thomas (27 September 2012). "A Philosopher Defends Religion" – via www.nybooks.com. ^ Oppy, Graham; Trakakis, N. N. (2014-09-11). Twentieth-Century Philosophy of Religion: The History of Western Philosophy of Religion. Routledge. ISBN 9781317546382. ^ "Exploring The Real 'Conflict': Science Vs. Naturalism". ^ "Philosophers Rip Darwin". The Chronicle of Higher Education. March 7, 2010. Retrieved 2010-04-28. ^ "Evolution, Shibboleths, and Philosophers". The Chronicle of Higher Education. April 11, 2010. Retrieved 2010-04-28. Beebe, James R. (July 12, 2005). "Logical Problem of Evil". Internet Encyclopedia of Philosophy. Retrieved September 21, 2009. Forrest, Barbara; Gross, Paul R. (8 January 2004). Creationism's Trojan Horse. Oxford University Press. ISBN 0-19-515742-7. Mackie, J.L (1982). The Miracle of Theism: Arguments for and Against the Existence of God. Oxford University Press. ISBN 0-19-824682-X. Meister, Chad (2009). Introducing Philosophy of Religion. Routledge. ISBN 978-0-415-40327-6. Peterson, Michael; Hasker, William; Reichenbach, Bruce; Basinger, David (1991). Reason and Religious Belief. Oxford University Press. ISBN 0-19-506155-1. Schönecker, Dieter (ed. ), Essays on "Warranted Christian Belief". With Replies by Alvin Plantinga. Walter de Gruyter, Berlin 2015. Beilby, James (ed), Naturalism Defeated? Essays on Plantinga's Evolutionary Argument Against Naturalism. Ithaca: Cornell University Press. 2002. Papers by Plantinga Extensive collection of online papers. Warrant: The Current Debate Plantinga's Gifford Lecture, and volume 1 of his Warrant trilogy. Warrant and Proper Function Plantinga's Gifford Lecture, and volume 2 of his Warrant trilogy. Warranted Christian Belief, full electronic text of volume 3 of his Warrant trilogy.